The Automobile Association (AA) has been sold by energy group Centrica for £1.75bn to two private equity firms. Centrica - which owns British Gas - said last month it was in talks to sell the AA so as to allow it to focus on its main utilities businesses. The company buying the roadside recovery business is owned by CVC Capital Partners and Permira. The sale price was higher than the £1.5bn analysts had expected. 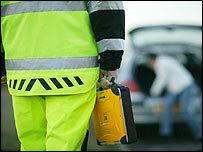 Centrica paid £1.1bn for the AA in 1999. Centrica said it would use the proceeds of the sale to fund a special dividend of £1bn as well as a £500m share buyback programme over the next 12 months. Membership of the AA has risen from about 9.5 million when Centrica bought the organisation in 1999 to more than 15 million now. 1905 AA started with 100 members to help motorists avoid police speed traps. 1908 Appoints agents and repairers throughout UK. 1910 Introduces written routes for drivers. But Centrica said that, despite its strong growth, the AA had limited potential to expand overseas and it would have continued to contribute less than 10% of its earnings over the next five years. Centrica emerged from the split of the former state-owned British Gas and in recent years has expanded beyond supplying gas and electricity into field such as financial services. However, the firm is now refocusing its business around its core interests. Prior to the AA disposal, Centrica had sold its Goldfish banking and credit card business. But chief executive Roy Gardner told the Reuters news agency on Thursday that the firm said it had no plans to sell its One.Tel telecoms unit. "Telephony remains an integral part of our business. There are no plans to sell One.Tel," he said. Investors cheered the better-than-expected price that Centrica received for the AA, sending its shares up by 7.6% to 241.5p by 0737 GMT.